An alliance of lawyers, venture capitalists, and entrepreneurs have recently met with the US Securities and Exchange Commission to petition for the creation of cryptocurrency “safe harbors” for specific cryptocurrencies and tokens, including Ethereum. The Venture Capital Working Group, which includes representatives of Silicon Valley venture firms Union Square Ventures and Andreessen Horowitz, met with the SEC on the 28th of March to lobby against the regulatory body classifying all cryptocurrencies as securities, which would place them under a high level of regulatory scrutiny. 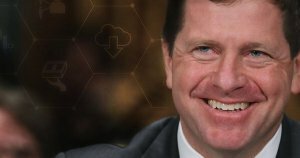 The SEC has recently taken a firm stance toward cryptocurrencies, with Securities and Exchange Commission chairman Jay Clayton staring at a US Senate hearing in February that “every ICO” he’s seen thus far qualifies as a security. As a number of high market cap cryptocurrencies — including Ethereum — have been launched via initial coin offerings, the possibility that the SEC intends to regulate them as securities is extremely concerning to the blockchain community. The Venture Capital Working Group, in response to the SEC’s rigid stance on cryptocurrencies, have proposed that the SEC establish a “safe harbor” for select cryptocurrencies, classifying them as “utility tokens” as opposed to highly-regulated securities. The key issue upon which the future of the cryptocurrency market could pivot is whether or not all cryptocurrencies should be considered securities. The specifics of the meeting between the Venture Capital Working Group and the SEC are currently confidential, but the group has announced that the group is working reverently to guarantee the classification of specific tokens as utility tokens. Thousands of different cryptocurrencies have launched through the initial coin offering model over the past two years, generating more than $6 billion in startup capital via largely unregulated trading platforms. While tokens issued through initial coin offerings are, in most cases, intended to be used as internal currencies within the platforms they fund, the SEC takes a differing view. As very few ICOs have followed this process, the SEC has issued a barrage of subpoenas to platforms that are potentially violating securities law by launching token sales. Any investment defined as a security under SEC regulations must be registered via a lengthy paperwork and auditing process, and can only be traded on regulated exchanges such as those where traditional stocks and securities are traded. At this point in time, there are no regulated securities exchanges that offer cryptocurrency trading. While cryptocurrencies such as Bitcoin, which was never launched through a centralized organization, may be completely exempt from classification as a security, other high market cap cryptocurrencies such as Ethereum could fall under the scope of new regulatory rulings that target tokens launched via initial coin offerings — an eventuality that could throw the cryptocurrency market into disarray. The Venture Capital Working Group, however, proposes that tokens that are used for an intended purpose on a computer network are “fully functional,” and thus do not meet the SEC’s current definition of a security. While the SEC has yet to release an official statement regarding the outcome of the meeting, the presence of a trade group consisting of significant venture capital firms arguing in favor of a more nuanced approach to cryptocurrency regulation speaks volumes about the rapidly shifting perception of cryptocurrencies within the institutional capital ecosystem.